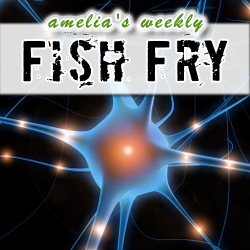 Fish Fry is headed to the Land of Next this week – the next process nodes, the next big breakthrough in brain sensor technology, and the next Kickstarter investment you should consider. My guest is Wilbur Luo (Cadence) and we’re talking 16, 14, and 10nm, what’s in store for these next process nodes, and how the design challenges associated with FinFETs are going to keep us on our toes. Also this week, I’ve got a brand new nerdy giveaway – the Microchip TCHIP003 chipKIT™ Starter Pak – courtesy of Mouser and Microchip Technology. You can enter to win one for your own by posting a comment on this week’s Fish Fry page.